At the weekly “Tuesdays with Toomey” action organized by healthcare activists and advocacy groups in the Philadelphia area, Temple-Episcopal RN and Local 5106 VP Sue Clements spoke to the crowd outside U.S. 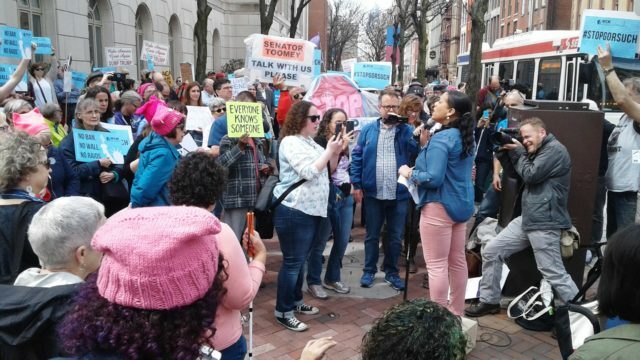 Senator Pat Toomey’s office in the city, calling on the senator to protect addiction rehabilitation services provided by the Affordable Care Act (ACA) and Medicaid expansion. Read Sue’s statement at the rally. 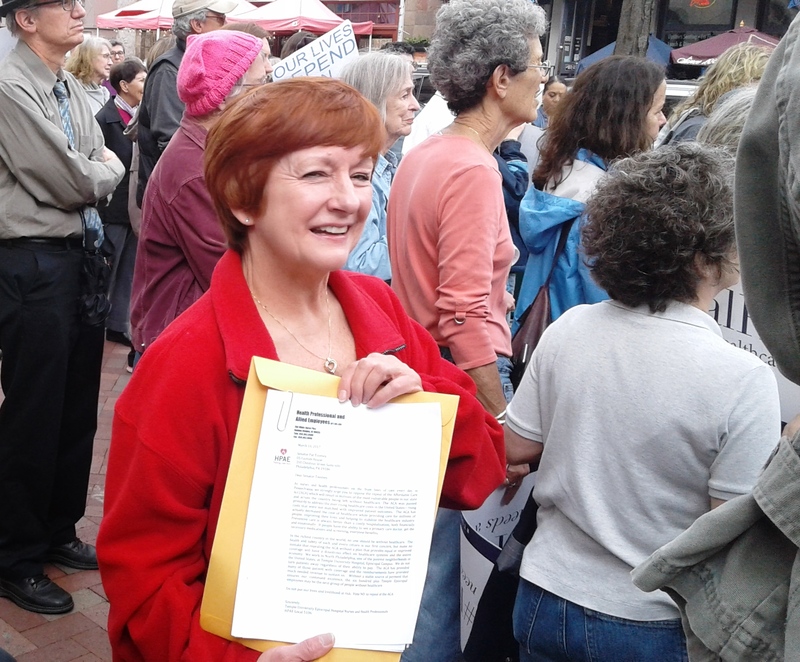 Sue delivered a letter to Toomey signed by over 200 HPAE members, AFSCME 1199C healthcare workers, and doctors at Temple Hospital Episcopal to tell the state senator to keep his hands off vital healthcare services.